See Mont Royal in Montréal and visit Québec City — North America’s only walled city. Experience the wildlife of Saguenay, discover the beaches and trails of Sept-Îles and stroll the historic waterfront of Halifax. 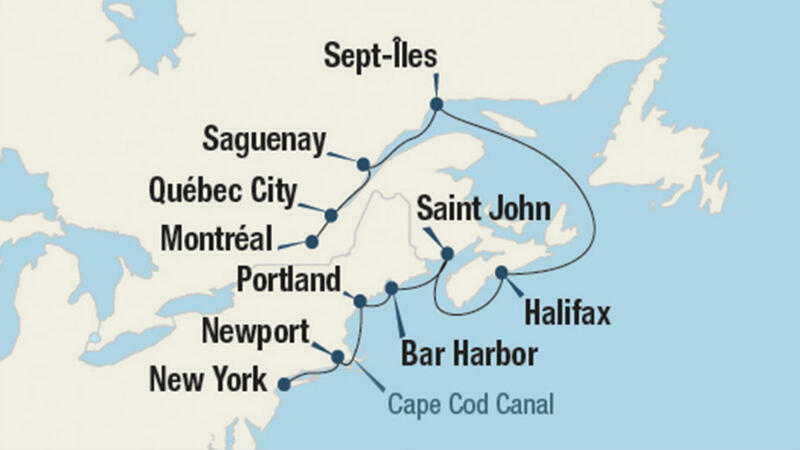 See the Reversing Falls in Saint John and take in the sweeping vistas of Bar Harbor. Walk through the Victorian neighborhoods of Portland and see the Vanderbilt houses in Newport.